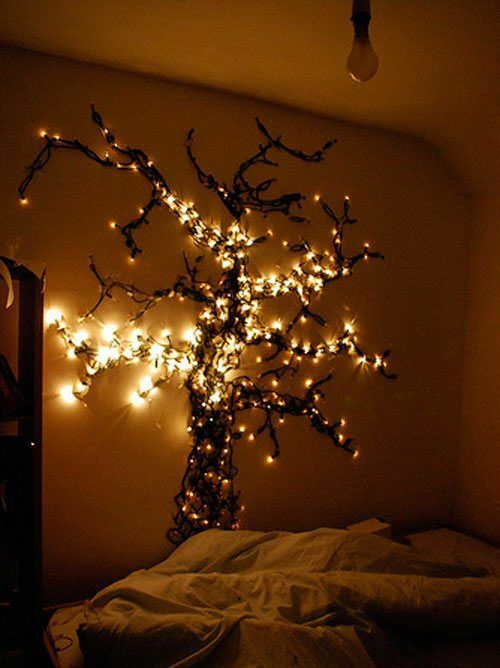 Sometimes, the best way to transform a room is with a simple touch of ambient lighting. 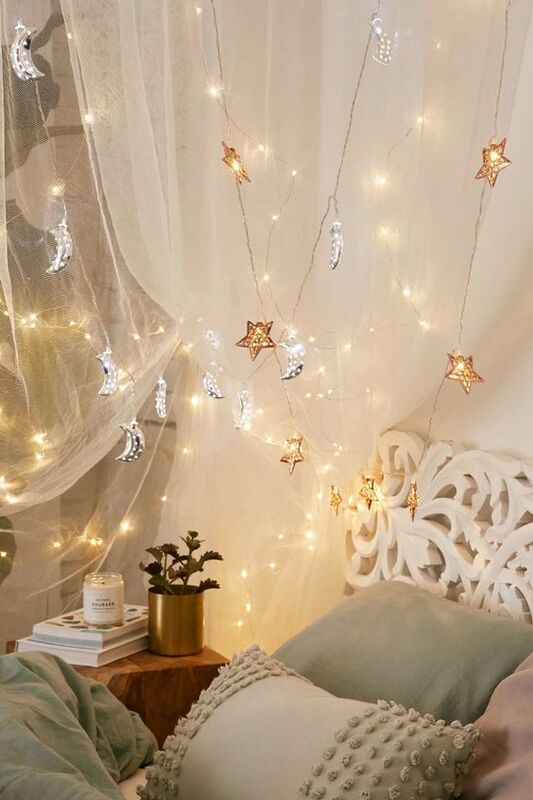 The warm glow of string lights will surely make you feel relaxed as you wind down in the evenings, and isn’t that what we need for a bedroom? 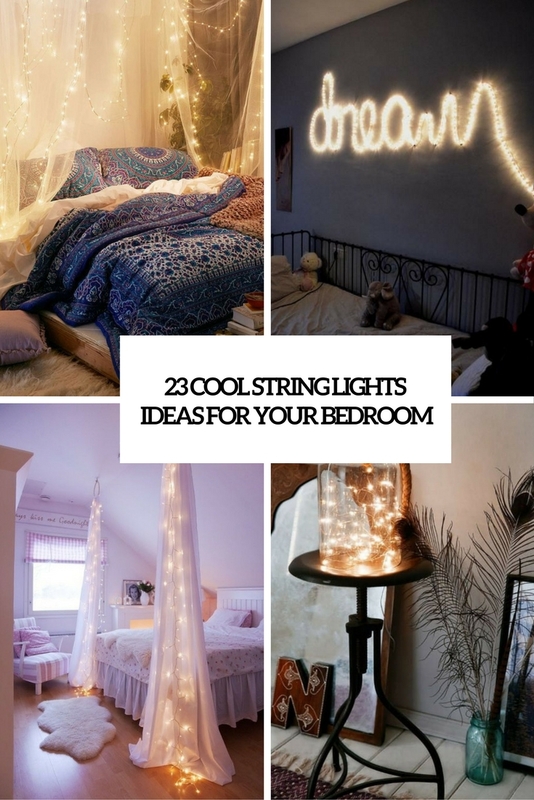 String lights can be used in different ways but all of them will give your bedroom a dreamy and inviting look. 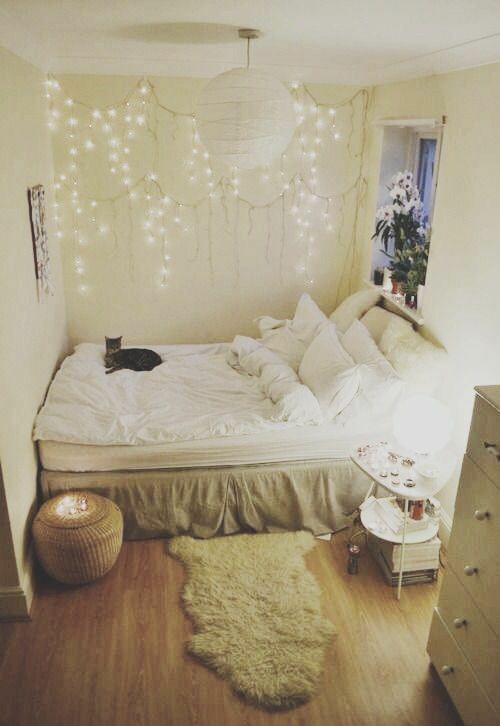 String lights can be used in any bedroom – an adult, teenage or kid’s bedroom. 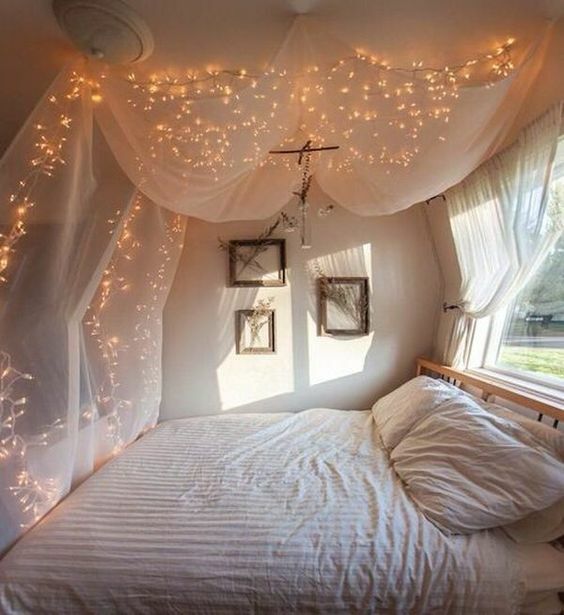 The most popular idea is to add string lights to the canopy if there is any. 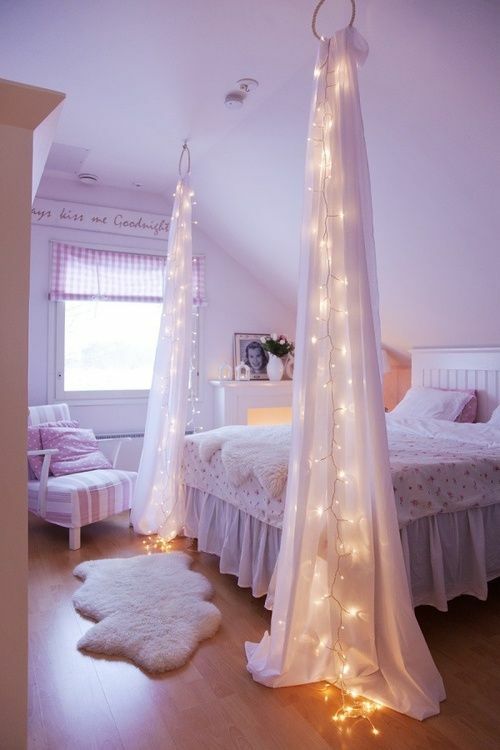 If not – just hang some curtains attached to the ceiling and add lights to them to make the space cozier and create a dreamy ambience. 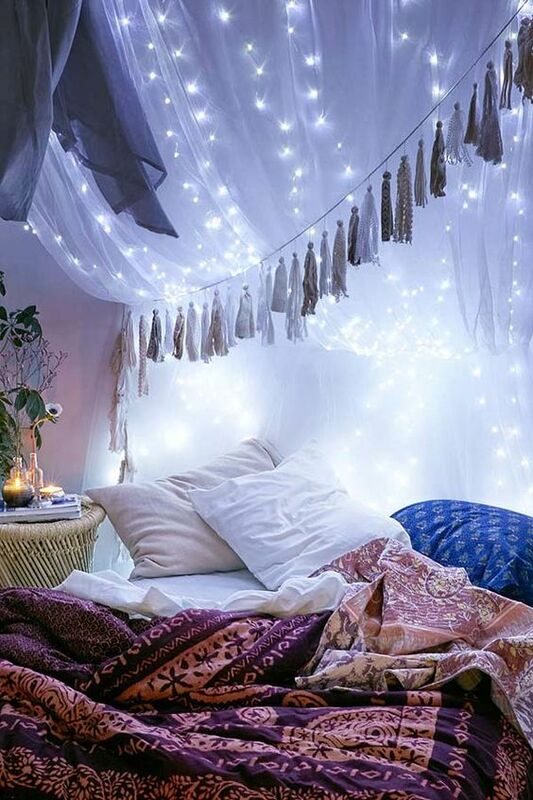 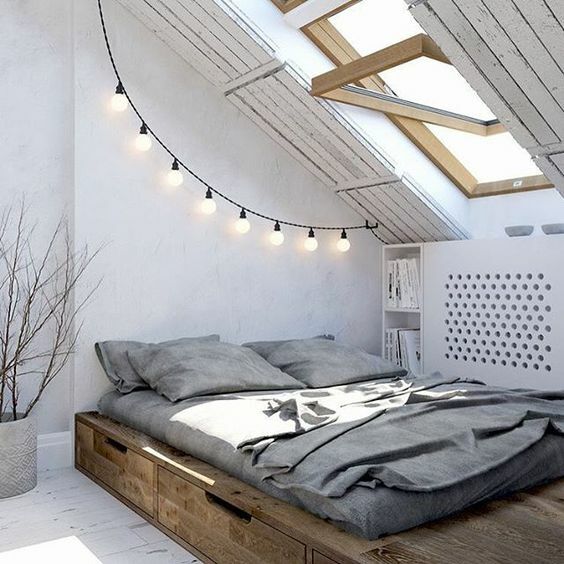 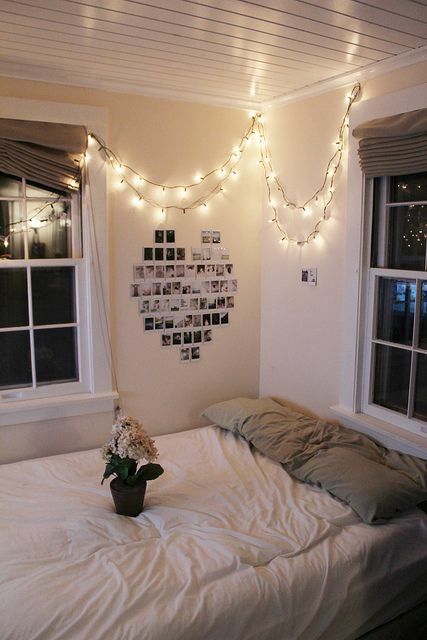 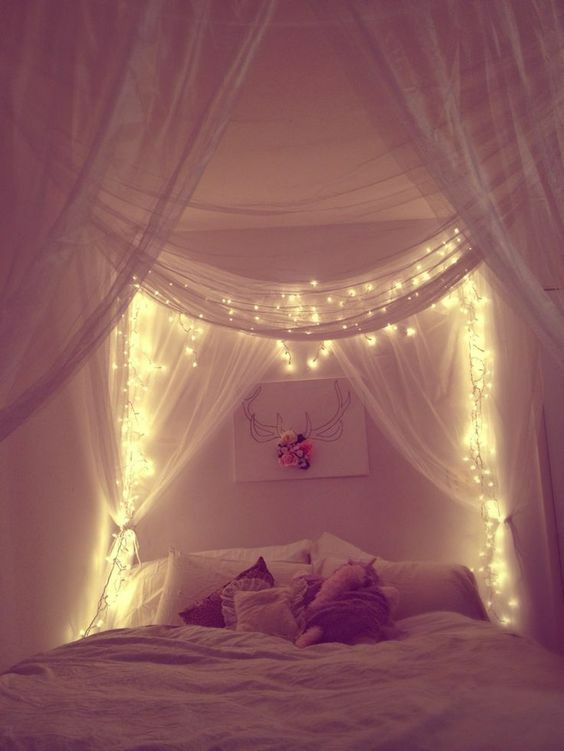 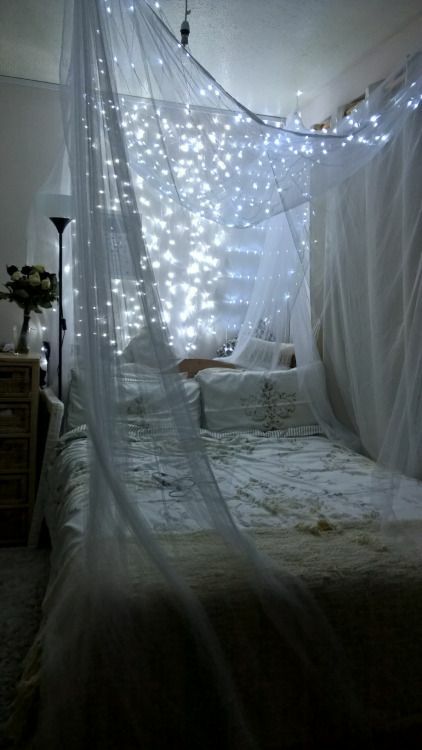 Another idea is just to attach string lights over the bed to accentuate the nook. 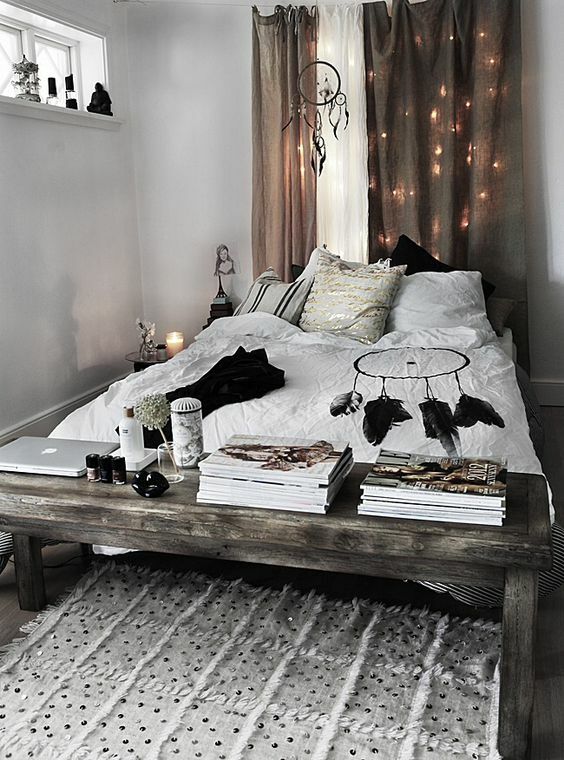 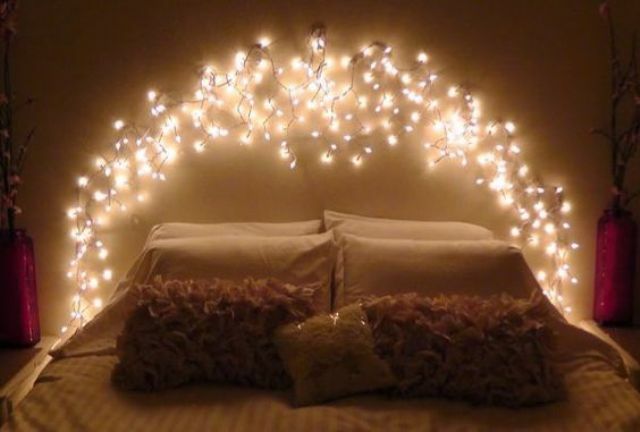 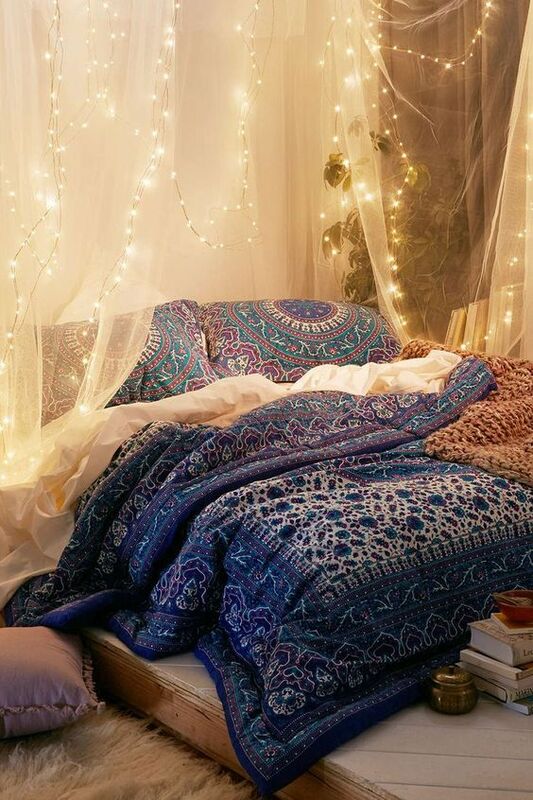 Substitute a headboard with string lights for a cool look! 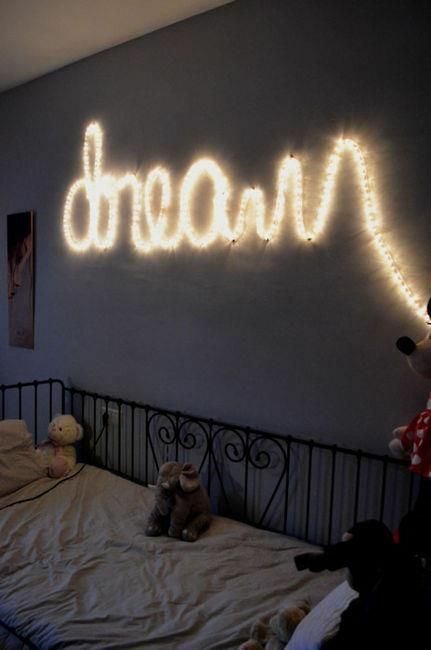 Make a word art with lights – choose something inspiring. 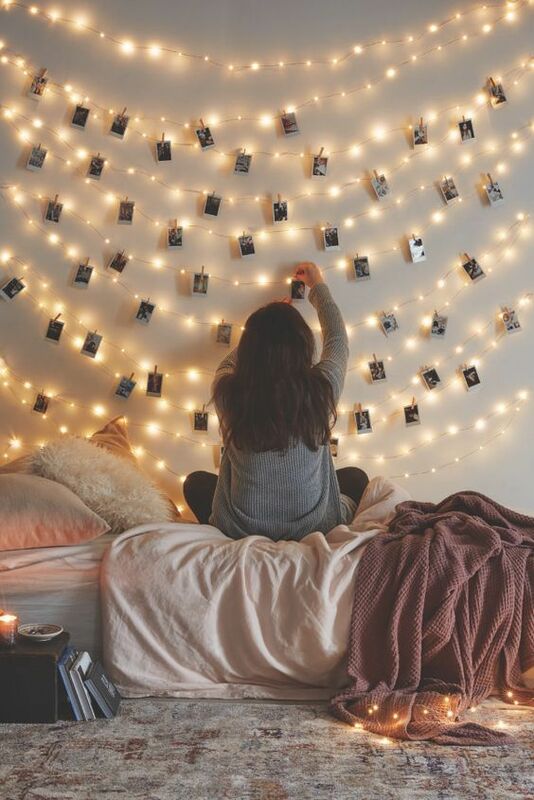 Attach your favorite photos to the string lights to get a double use of them. 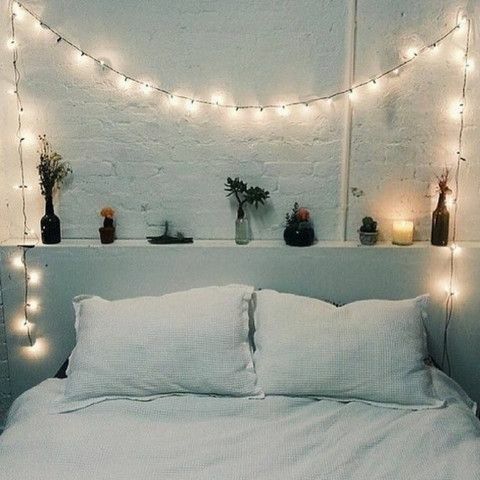 If a bed is next to the wall, you can attach lights to it. 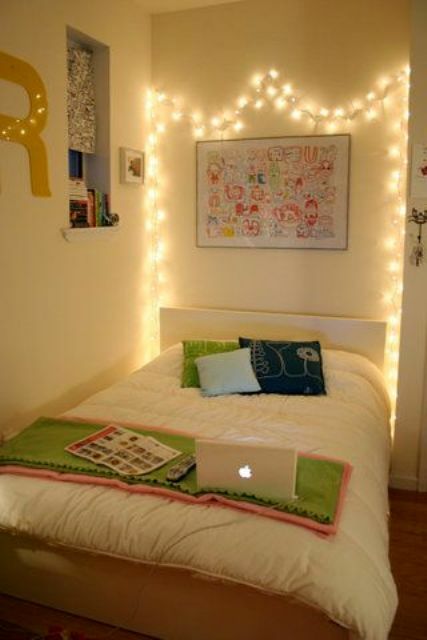 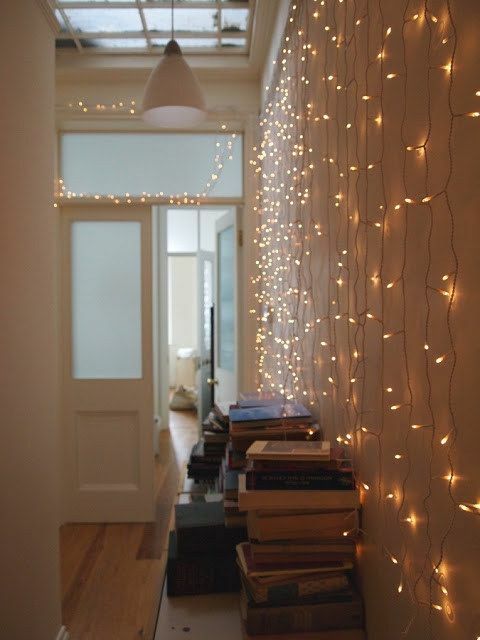 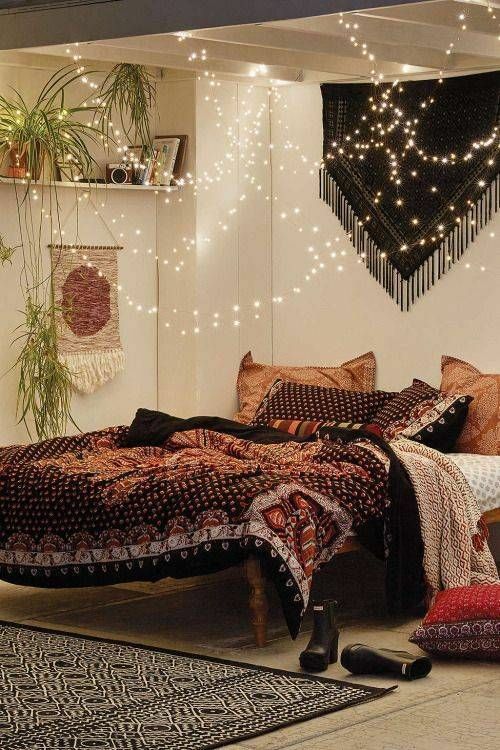 You can also drape string lights on the wall opposite your bed to catch an eye. 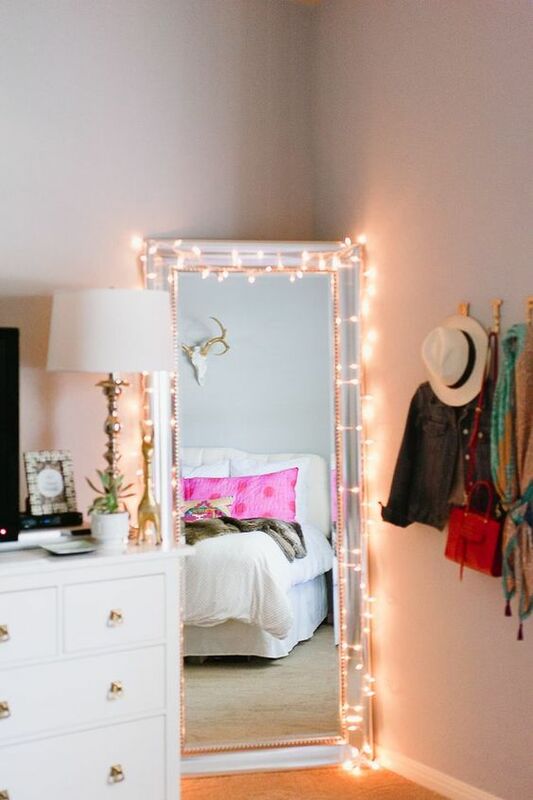 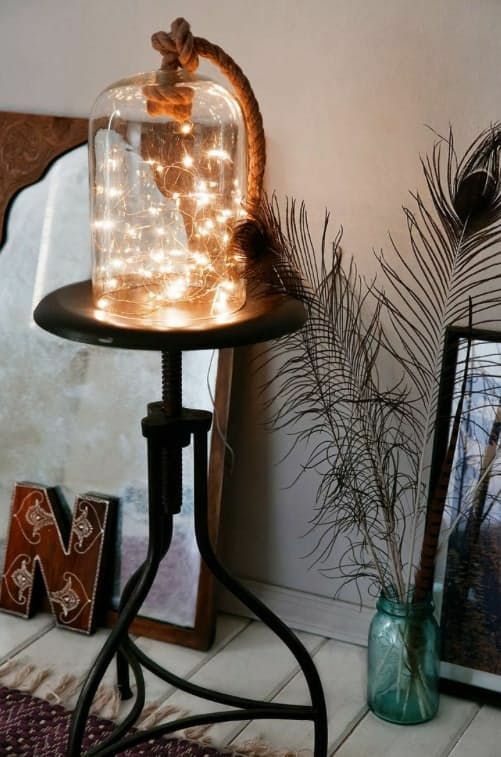 One more idea is string lights inside a cloche or a mirror covered with string lights that will make your bedroom warmer. 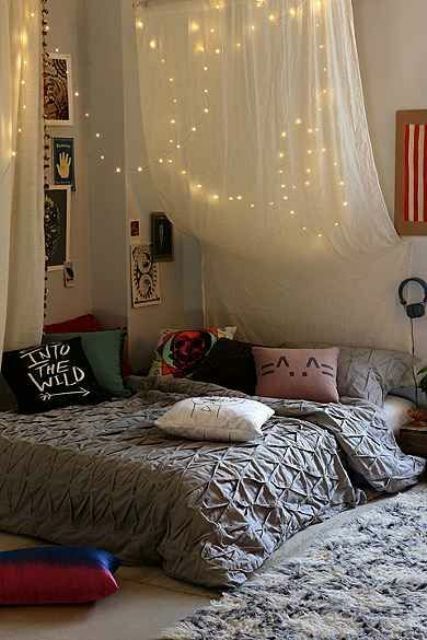 Get inspired and create a cool ambience in the bedroom!